Guest rooms are available for checking in or checking out 24 hours a day, 365 days a year, and overnight accommodations (and day use for families needing to rest during the day) are available for up to 44 guests between our two house locations. The McNally Hospitality House, located on the campus of Covenant HealthCare, has 17 bedrooms with private bathrooms in each of the rooms. 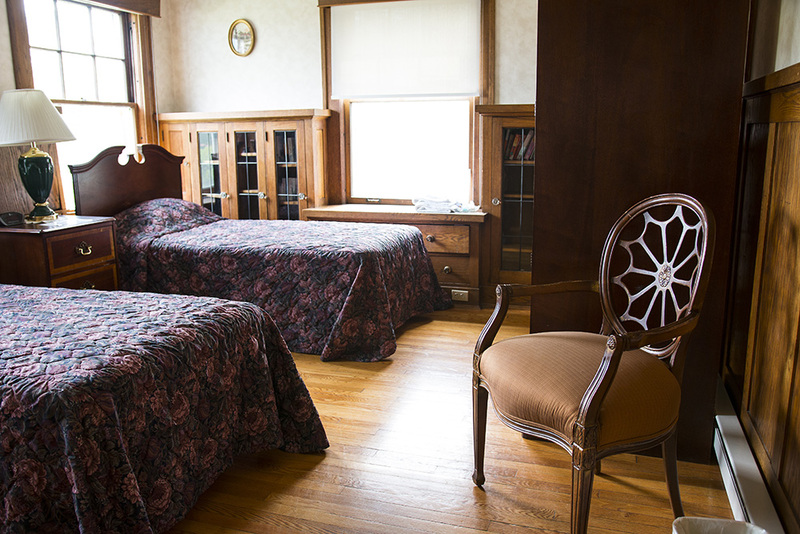 Guest rooms are numbered, and guests describe the McNally House as a warm, home-like hotel. 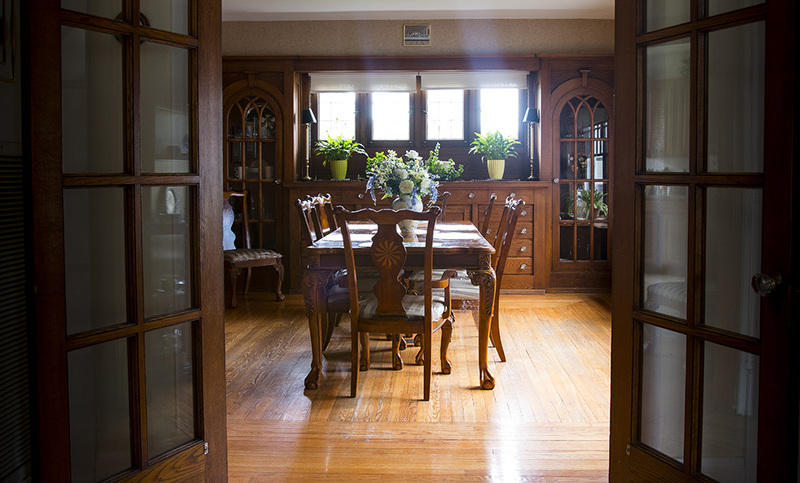 Our Emerson Hospitality House, conveniently located on the campus of St. Mary’s of Michigan, provides a home away from home for up to 12 guests per night. Each of the six guest rooms is named after one of the five Great Lakes, with the sixth being the Great Lakes Room, and the Emerson House is described as similar to a bed & breakfast. The hospitality houses provide comfortable, private lodging and a caring, supportive environment. All bedding and towels, some food items, laundering supplies, and toiletries are provided, although guests may wish to bring personal items, toiletries, and specific food items for special dietary needs. Out-of-town relatives and caregivers of patients who live more than 20 miles away from the hospital and/or someone from out of town receiving treatment at any of the Saginaw area hospitals may stay at Hospital Hospitality House. Guests may request a room in advance or at the time of need for either the McNally Hospitality House or Emerson Hospitality House by phone only. Please call 989-583-0155 any day of the week at any time to be connected to the front desk. Accommodation requests are sometimes in high demand and uncertainty of when a patient will be discharged makes it difficult to predict room availability. Guest rooms are available on a first-come-first-served basis. 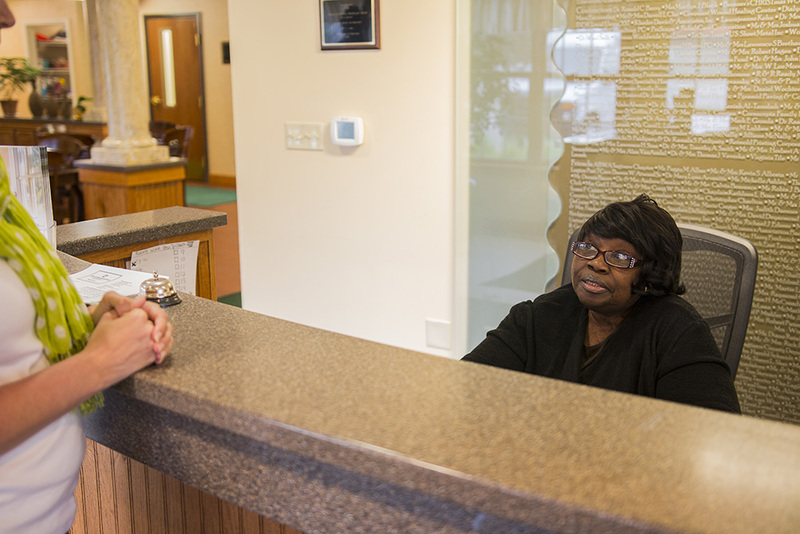 The admitting office, information desk, nursing staff, social workers or chaplains of the hospitals also refer guests to our hospitality houses, both as prearrangements and at time of need. If referrals and/or arrangements are made ahead of time, guests are asked to call the day before their arrival to confirm their need of the room. Guests are asked for a $20 donation per night, with additional guests being $10 per night. (Special arrangements can be made with the Operations Manager/Executive Director if someone is in need of accommodations, but unable to contribute; insurance coverage of donation fee may be available to families of children in the Neonatal Intensive Care Unit.) This donation doesn’t cover the full cost of a night’s stay, but helps toward operational expenses. Additional donations are welcomed and much appreciated.